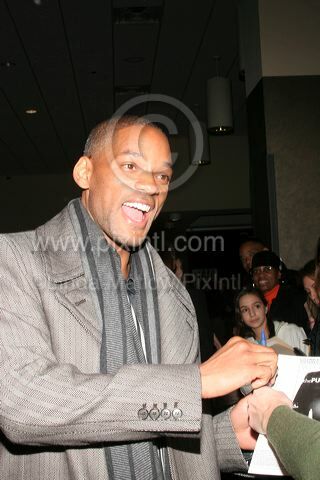 Actor Will Smith arrived at the AMC 21 River East Theater for a special screening of, Columbia Pictures "The Pursuit of Happyness." Fans greeted Smith with flowers and autograph books in hand. 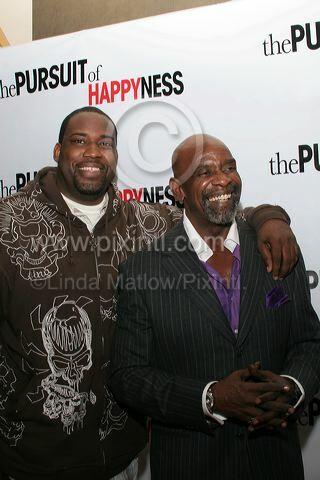 Christopher Gardner and son Chris Gardner Jr arrived soon after. Media crews interviewed them on the red carpet. Photos: copyright © 2006 Linda Matlow/Pixintl .Photos may not be used,copied or distributed without license from www.pixintl.com. Photos are available to accredited media only.